January | 2017 | We RUN USA !!! That little chest cold started grabbing my breath and grew like a gathering storm. Small sputtering hacks became loud, long growling rumbles . Easy walk from door to car took all of the breath I had. Visit to doctor id’d a bad cold and recommended / prescribed meds and diet. That did not help much and the cough/ lungs got heavier and another trip “gave” me bronchitis and different treatment . It started to work for the lungs but bronchitis is a tough bugger. I then developed a painful rash on my lower legs and some of th mds for my lungs were useful and soaking and other topical treatments have been helpful. I plan to be healthy and ready to roll in a short time and need to decide what to do. 1. It will all be easy and be ALL WALKING for a few weeks at minimum. 2. It will include some muscle building , but only body weight exercises. 3. Focus on necessary weight loss will dictate when any extended running can begin. 4. Will investigate local gyms for best one to supportfitness and weight goals. 5. ULTIMATELY-Strive to have fun…so I do this forever. 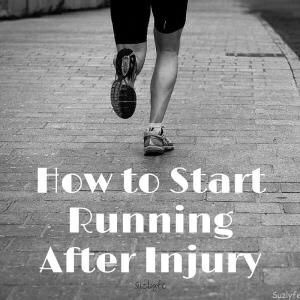 I found this article / pin about returning after injury. Some good information and guidance. This is a simple chart for how it might be done. 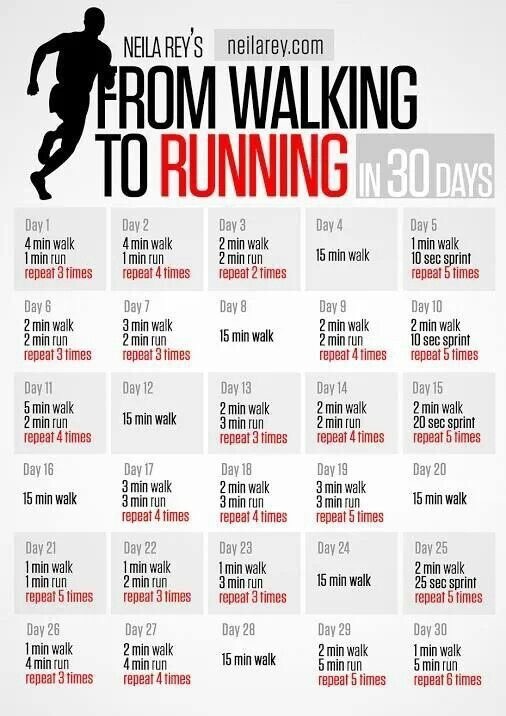 Starting from nothing and running in a reasonable time.